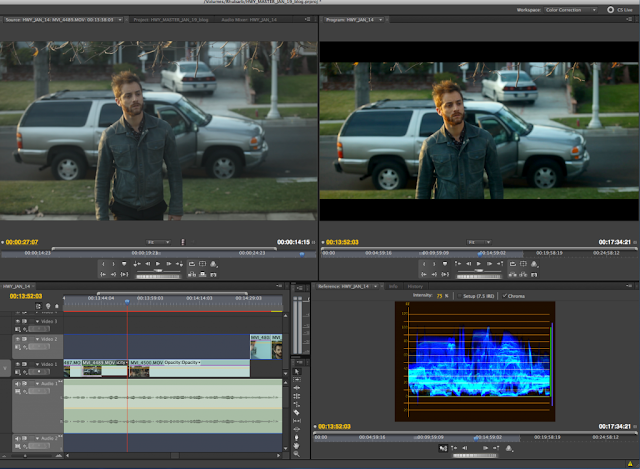 Color correction is just one step of the entire filmmaking process…but oh, what a difference it can make. 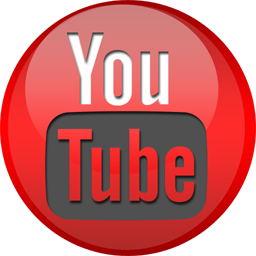 You can take average footage and really make it pop, sing and enhance the viewing experience of your project. If you have excellent footage, then the sky is the limit. You can also make images look garish, ugly and destroy all the hard work the crew did to capture those images on the day of the shoot. The challenges and choices are many and it comes with great responsibility if you are the one applying the Color Correction and Color Grade. 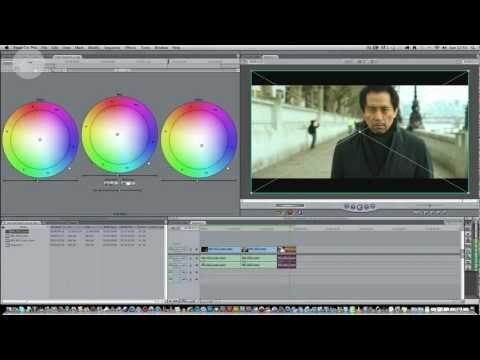 What is Color Correction & Is there any difference between Color Grading and Color Correction? COLOR CORRECTION is the process where every clip is manually tweaked to get a good exposure and balance of light. 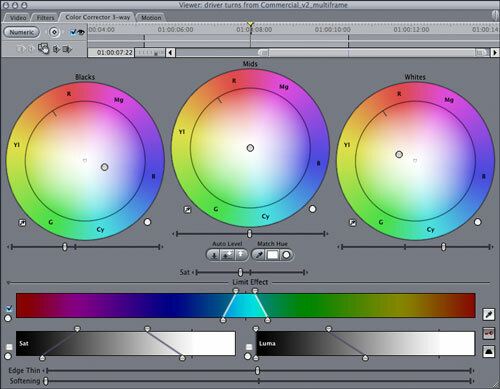 Each clip is adjusted to match color temperature to a predefined choice for each scene. This tedious and mechanical process is essential and in its own way, an art form. The use of SCOPES (Waveform, Vectroscope, Parade) is critical to this step and luckily most NLE’s and Grading software have them built-in. Without them you are literally flying blind and solely trusting your eyes, which have to adjust to room light ambience, fatigue, funky monitors and other factors constantly. Trust the SCOPES and let them guide you into accurate and creative decision making. COLOR GRADING is the creative process where decisions are made to further enhance or establish a new visual tone to the project through software including: introducing new color themes, re-lighting within a frame, films stock emulations, color gradients and a slew of other choices. Being that this is purely creative, there is no wrong or right…only what the DP, director and colorist feel is appropriate for the story. It can be subtle and invisible or over-the-top and uber-stylized. Therein lies the challenge…The challenge of choices. The tools available are so numerous, powerful and often free (Davinci Resolve Lite!) that you have no excuse not to explore these options further before you embark on the Grading journey. 1. Remove artifacts and de-noise. 2. Balance your shots by adjusting BLACKS/MIDS/WHITES, SATURATION and WHITE BALANCE. 3. Relight within a shot using power windows or masks. 4. Add gradients, diffusion and other lens filters. 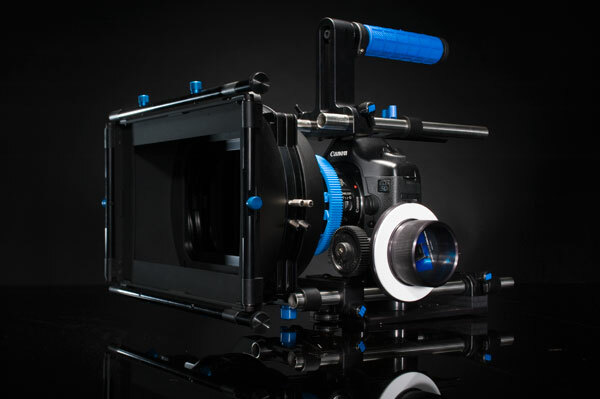 Top DSLR Filmmaking Cameras ! DSLR Filmmaking in India (Bollywood)! How to make zero-budget films: DIGITAL MOVIE-MAKING ! Developed by Raj Nongthombam © 2012. All Rights Reserved.. Powered by Blogger.